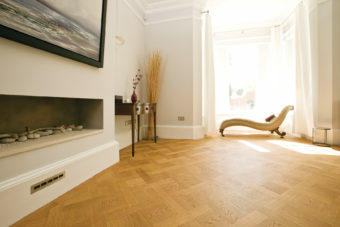 Palladio – our traditional parquet wood flooring. Equally at home in contemporary settings, our parquet flooring is available in oak and a wide range of timber species to create simple and elegant – or richly coloured floors. 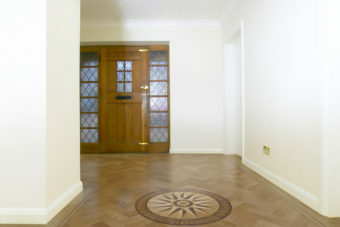 Our teams of specialist installation experts are highly trained in the skilled art of parquet, and together with our finishing specialists, create floors that will last a lifetime – and more. 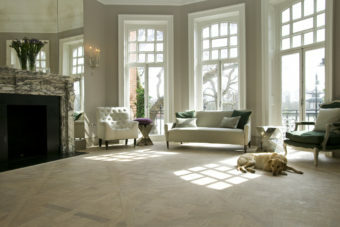 Our high end wood floors are chosen for many prestige projects in London and across the South East. Here is a small selection of some of our favourite floors, but speak to our team for more information on the range of species, designs and finishes available.